Enjoy a truly remote wilderness experience at Powder Creek Lodge, one you don’t have to share with anyone else. 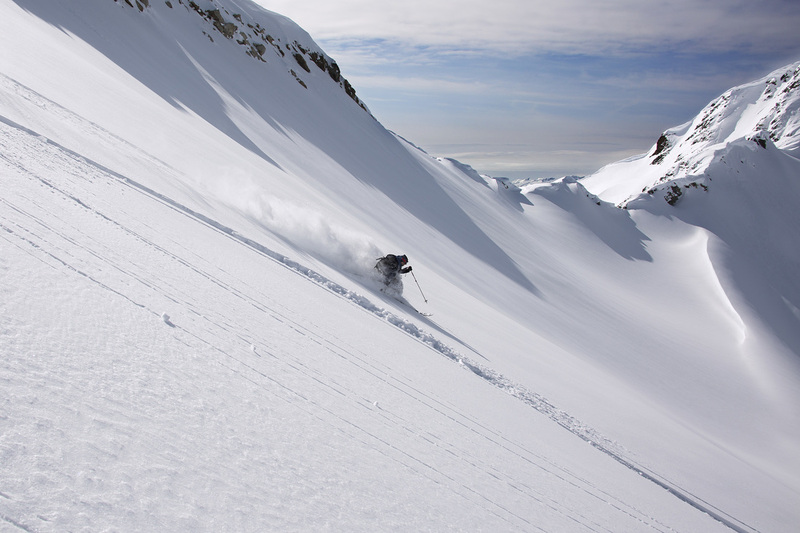 With exclusive helicopter access and more terrain than Whistler-Blackcomb, Whitewater, Red Mountain, Revelstoke, Kicking Horse and Fernie combined, you’ll find unparalleled skiing in our PRIVATE 18,000 acre tenure. Our vast terrain has some intermediate skiing options a short skin track from the lodge. This area has lower-angled slopes and lightly treed glades that are perfect for days of higher hazard, a moonlit tour or a laid-back day. The lodge is situated at treeline, providing you with open glades and moderate slopes that are accessible right out the front door. Get up early and sneak out for some fresh tracks in the naturally-gladed, old growth forest and open alpine larch surrounding the lodge. Excellent tree skiing for those low visibility days and when the stability is poor in the alpine. Explore high alpine terrain, huge bowls and north-facing runs up to 3000 feet that hold their powder well into June. From the lodge, you can view massive open slopes and some of the largest alpine runs in the area, as well as spectacular views of jagged 9000 foot peaks. 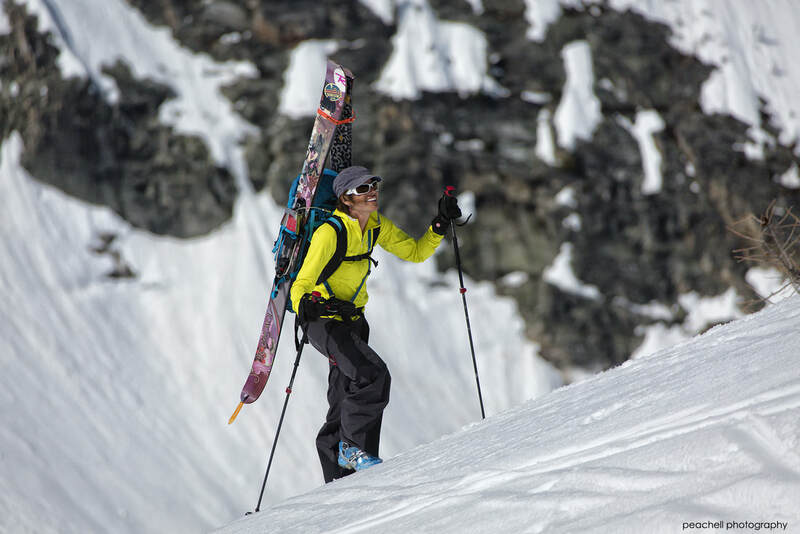 For strong skiers and riders, there is exciting terrain waiting to be discovered in the area’s outer reaches, including the possibility of first descents. You can explore far afield and find yourself amidst rugged larch, evergreen forests, towering cliffs and vast open bowls. With no visible clear-cuts, logging roads or structures, you’ll enjoy our pristine corner of the Kootenays. 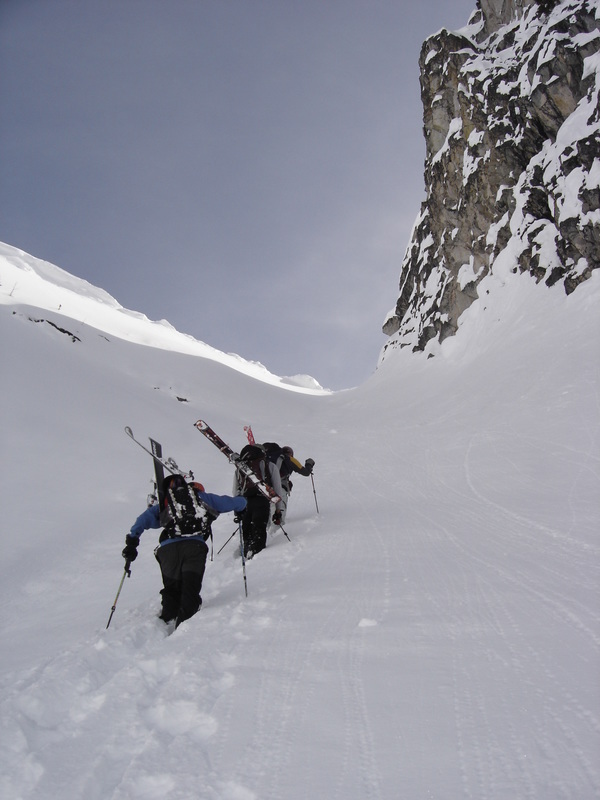 Ski from summits, negotiate spectacular ridges, or drop into steep couloirs. This terrain has some of the most scenic and best skiing at Powder Creek Lodge.